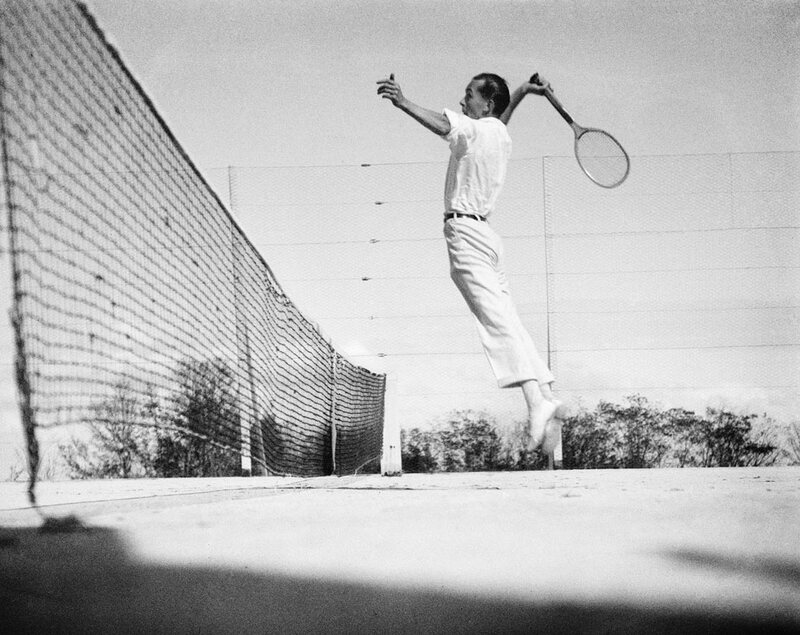 A man fortunate to be born free and happy, Jacques Henri Lartigue transformed his life into a masterpiece. 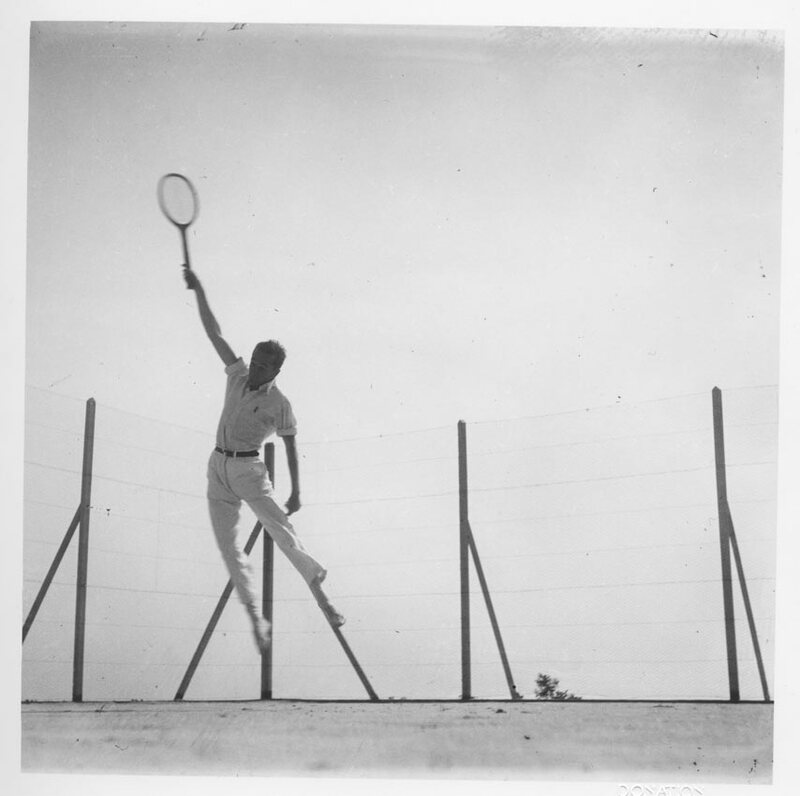 As a young fellow in the Roaring Twenties, he devoted his youth to the joy of living and to beauty, if not, to some extent, to frivolousness… Lartigue was indeed a genuine dandy ! 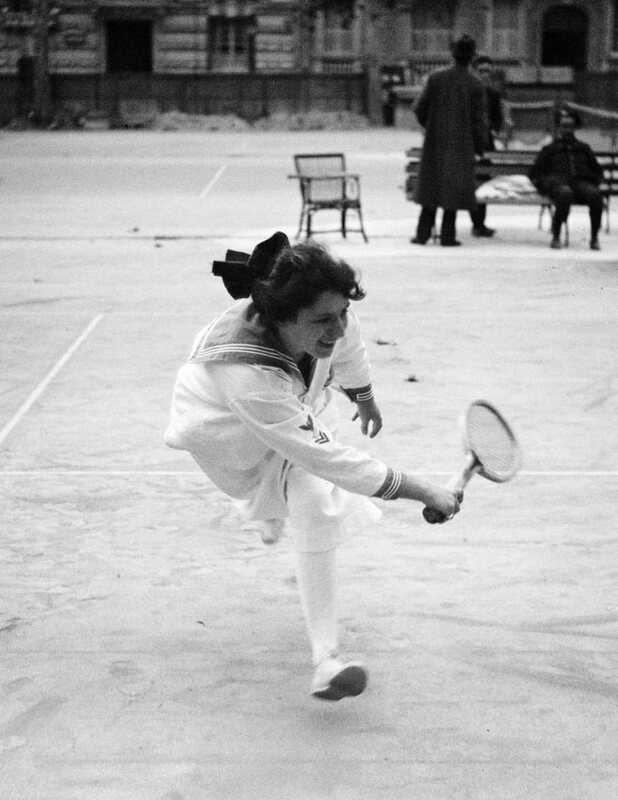 Jacques Henri Lartigue has a passion for sports, especially for tennis. 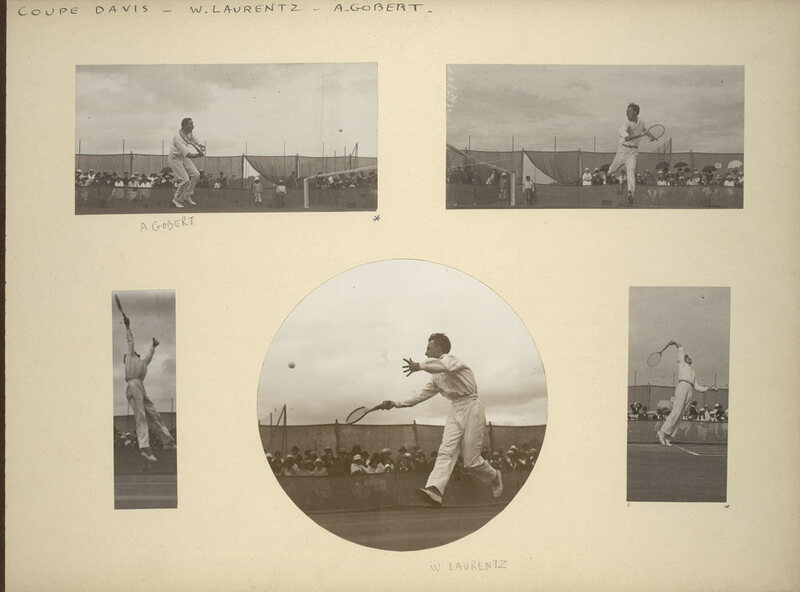 An excellent player himself, he is filled with wonder at all the sensations provided by it: “Playing tennis in the sun. The smell of the cloackroms. The majestic green trees. The song of a blackbird (…). The sun above my head”1. 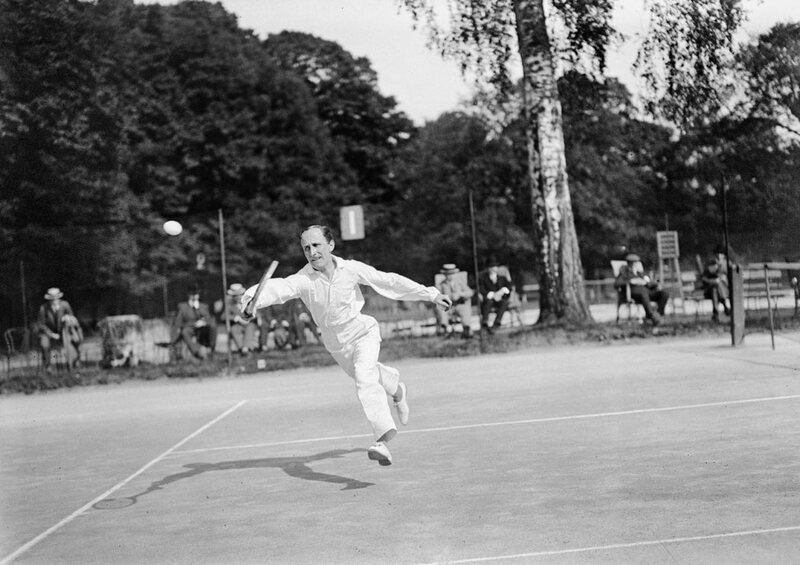 Fanatic of speed and takeoffs, he is thrilled by the suspense of the game: “The ball comes and the racket awaits it with its extremely tense guts. Its dry, flexible and hollow sound dispatches a parcel of voluptuous pleasure through your body. 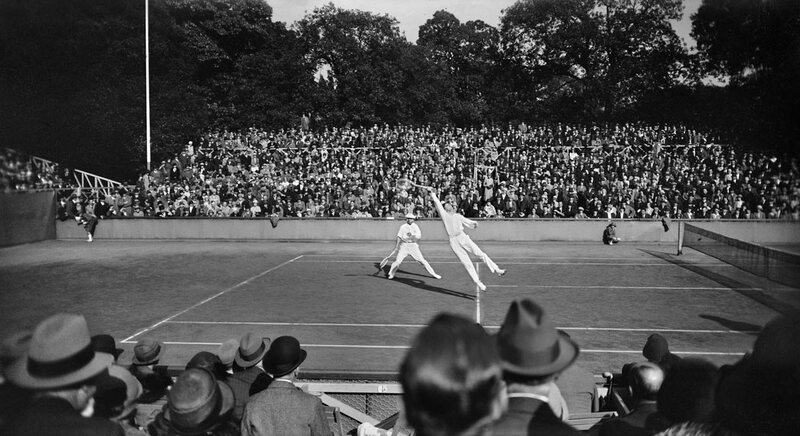 To play a fast sport is to live in the fantastic country of atoms of seconds”2. 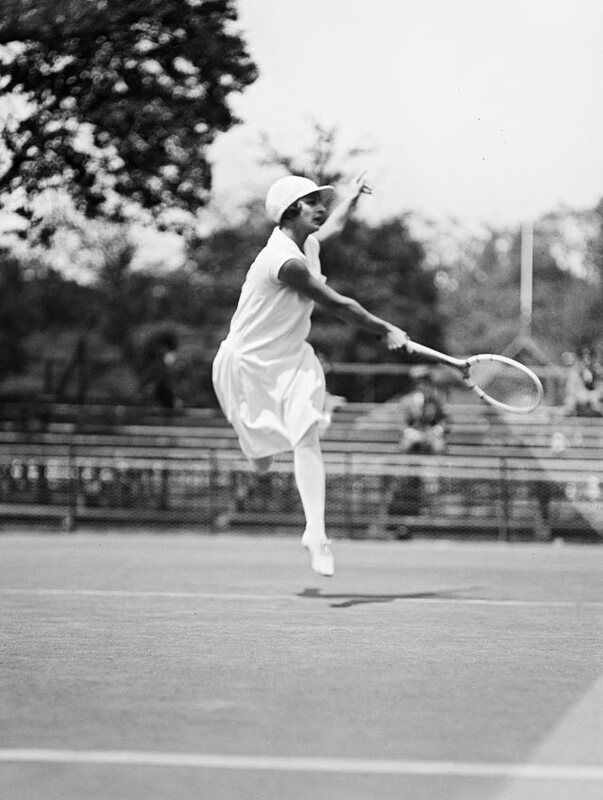 During the 1915 winter, Lartigue discovers a “phenomenon”, “a 14-years old girl called Suzanne Lenglen”. 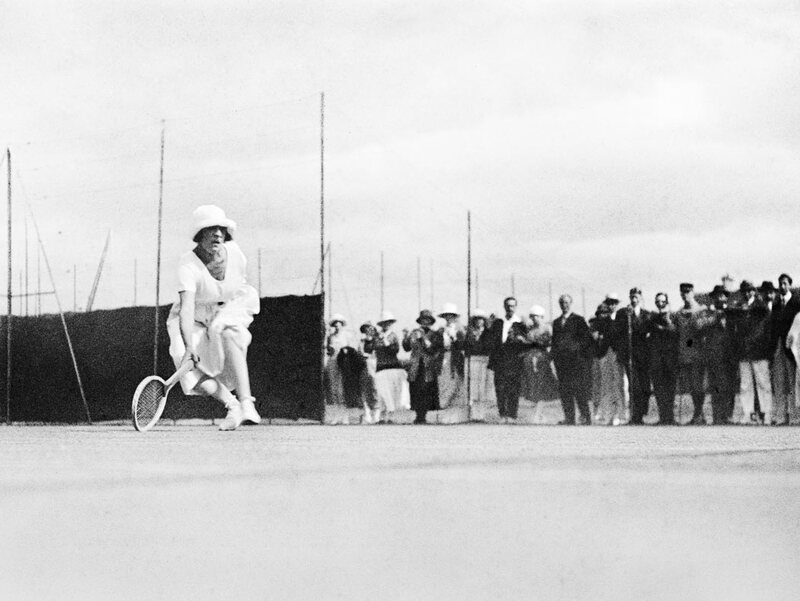 He watches her at the Nice Tennis-Club, where she follows the training of “a machine-to-play-tennis”: “She plays so well and has such a strong game that she would easily defeat many great men players”. At that time, she is already the French champion, and he wonders: will she ever become the world champion ? 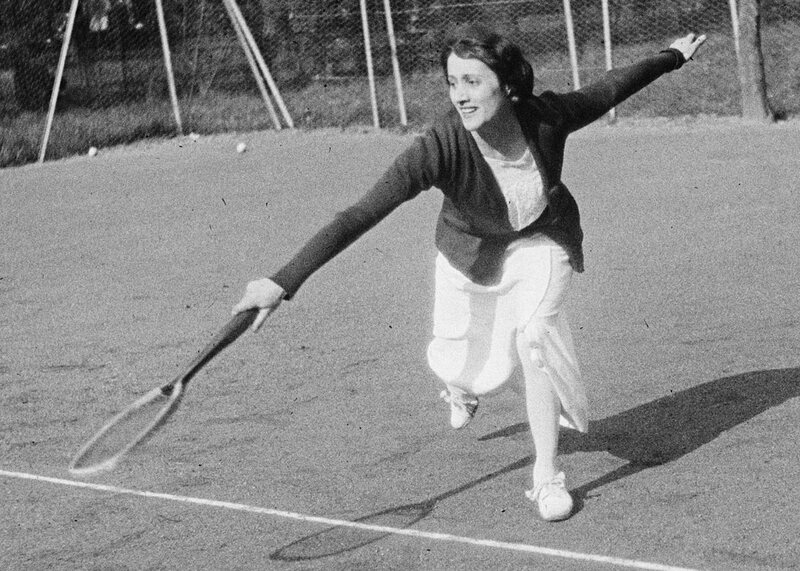 “Throughout his entire life, Jacques Henri Lartigue wished to retain the time that flies in order to hold it back, as if photography was unable to fulfill his own desire of inventory”3. 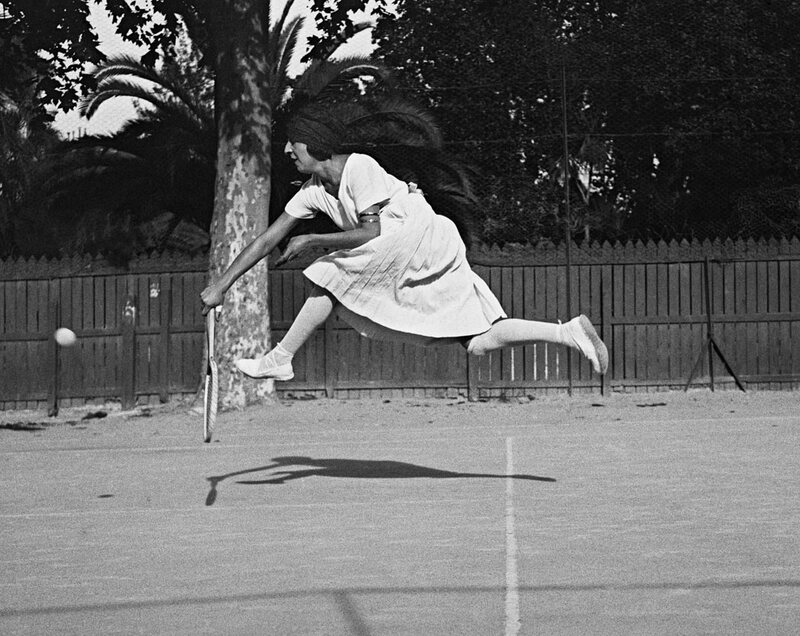 Lartigue has thus meticulously composed photography albums in order to tell his life story. 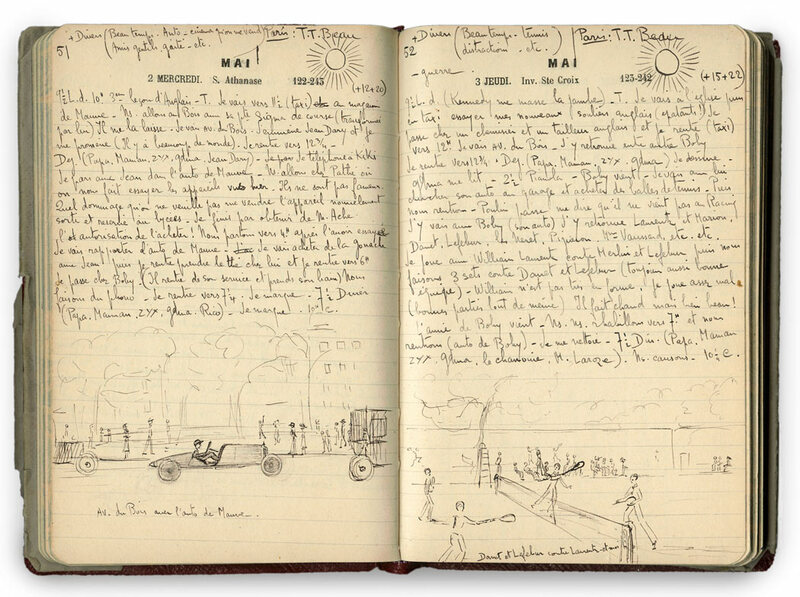 In his diary, “the weather was always beautiful. It never rained. Or hardly ever…” would comment his great friend the photographer Richard Avedon. 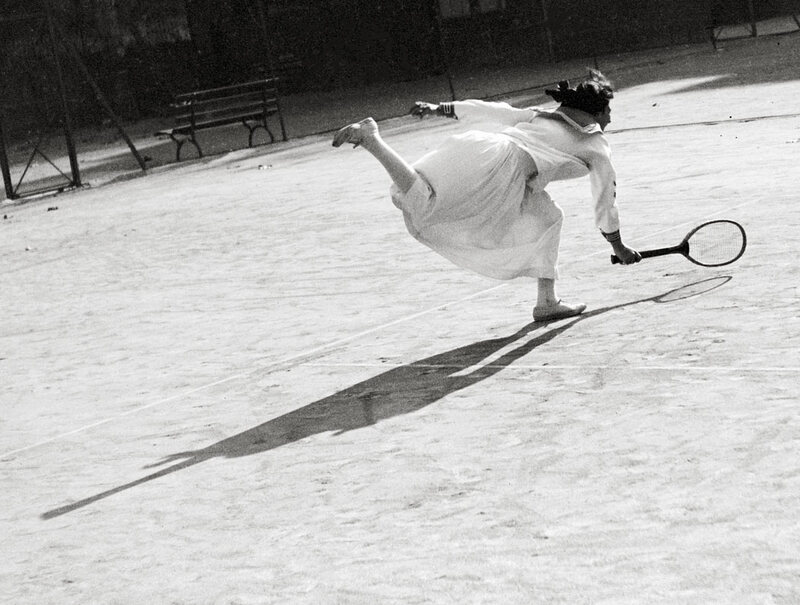 In his life as in photography, Jacques Henri Lartigue appears to have always searched to “seize in the air the happy image of an instant, a short fragment of time that would signify something eternal from then on“4.